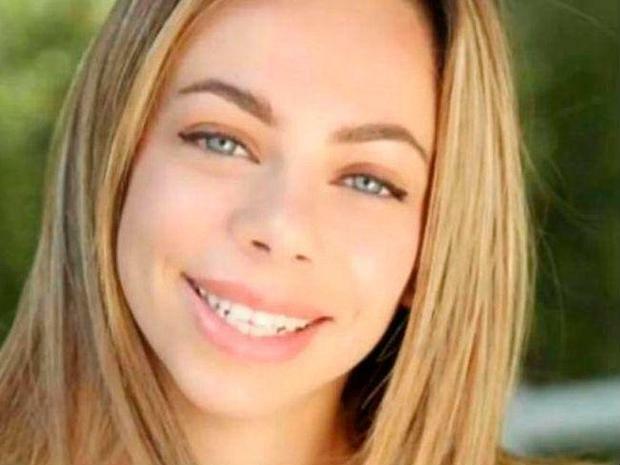 A body found in a shallow grave in northern California has been identified as belonging to an aspiring model and actor who had been missing from Los Angeles for more than a month. Adea Shabani, 25, was found in a remote area of wilderness more than 400 miles (645km) away from the Hollywood flat where she lived. Nevada County sheriff's officials said the young woman was identified by her tattoos. Ms Shabani suffered blunt force trauma to her head but an exact cause of death was still under investigation, according to a sheriff's statement. Speaking at a news conference on Tuesday, Los Angeles Police Captain Billy Hayes said the model's boyfriend is suspected to have killed her. Chris Spotz, 33, who was engaged to another woman, killed himself after a police chase last week. Ms Shabani was last seen leaving her flat with Mr Spotz on 23 February. Mr Spotz subsequently told detectives the couple had left Los Angeles that day for his father's house in northern California. He said they then had an argument in the Santa Clarita area just outside LA, during which he let her out on the side of a motorway and never saw her again. Mr Hayes said detectives found nothing that substantiated the account, which was given via a lawyer. During the investigation into Ms Shabani's disappearance, Capt Hayes said Mr Spotz and his unnamed fiancée had driven from LA to her parents' home in Colorado. However when detectives attempted to track him down there, Mr Spotz was gone. Detectives issued a warrant for Mr Spotz's truck and on Thursday he was spotted, leading police on a chase east of LA. Mr Spotz fatally shot himself in the head after the chase. Mr Hayes said detectives suspect Ms Shabani, who was found in a shallow grave by a creek in the Spenceville Wildlife Area, had been dead for more than a month. Ms Shabani was born in Macedonia and went to secondary school there before moving to LA to embark on an acting career. She was credited with a small role in an independent film which was released last year.